Sight words are the building blocks of beginning reading. They are easy words such as it, is, am, and, the, you, I, he, she and here. It’s important to build up a word bank. These are words that your child will be able to recognize on sight, quickly, without actually having to read them. This will speed up the reading process and make things easier for your child. Sight words will be important for beginning writing, too. Reading and writing go hand-in-hand. When you’re starting out with a child that is about 3 to 4 years old, I’d use the books you’re reading with your child as a teaching tool for sight words. Why? This way the word is in context in a story, and not isolated and without meaning, on a flash card. It’ll make more sense to your child. Reading is all about making sense of what’s on the page. You can use flashcards with sight words later. After reading a short book, go back to the first page. Look for a sight word you’d like to teach. Let’s say the word is up and you know that the word occurs several times in the book you’ve chosen. Read the sentence with the word in it, point to the word and say: This is the word up. Can you find another up on this page? Or the next page? The next day, with the same book or another one, point out the word up again. This time, bring out some magnetic letters – u and p.
Print the word up on a piece of paper, or on a little whiteboard (make sure it’s magnetic). Tell your child the word is up just like in the book. Keep the book near and open to the page with up so you can point to it readily. Here’s a list of kindergarten sight words to choose from. Go slowly and build in lots of repetition. You might have to point out the same word many different times on many different days. That’s okay. Introduce a new sight word when your child has shown a firm grasp of the initial one. Go back. Review words regularly. And remember, these are sight words your child will need to know by the end of kindergarten…they can’t be learned all at once. My Super Hammy books from DC Canada Education Publishing are perfect for teaching these need-to-know sight words! 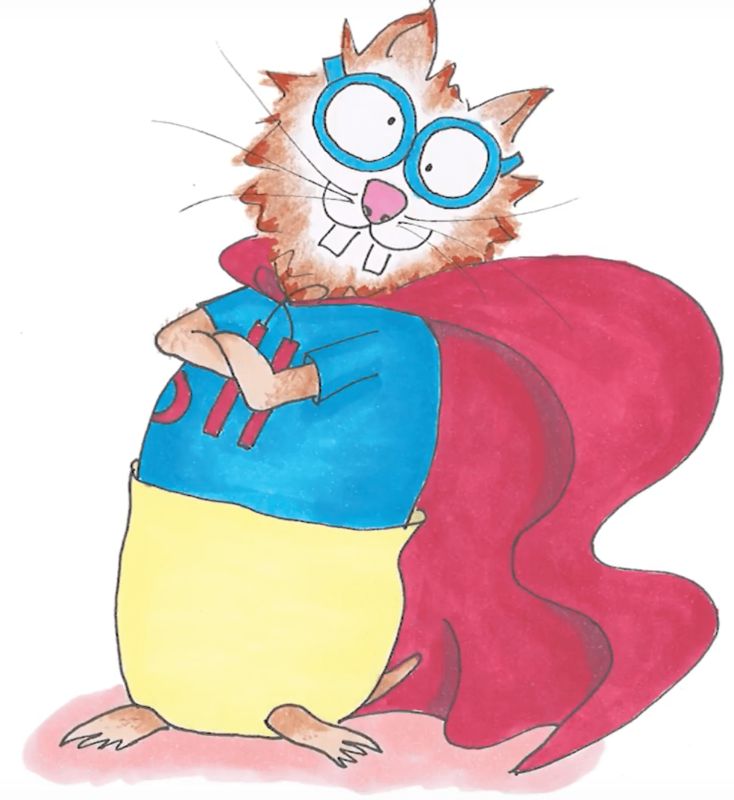 Super Hammy books are available individually or as a boxed set of 15 with a CD of the books. SUPER HAMI IS ALSO AVAILABLE EN FRANÇAIS! CLIQUEZ ICI! Previous Super Hammy’s in Flight! Next Sight Word Flashcards…there’s a place for them!